Article supplied by the Endangered Wildlife Trust. World Wetlands Day, celebrated annually on 2 February, provides an opportunity to celebrate a natural resource that is critical for people, the environment, and biodiversity. Wetlands come in all shapes and forms, from estuaries along our beautiful coastlines and high altitude inland wetlands within the grasslands of Mpumalanga, to the hard working wetlands within our urban landscapes. Much of our conservation effort within the Endangered Wildlife Trust (EWT) is centred around the protection, restoration, and management of wetlands and the catchments that feed them, and we encourage you to celebrate World Wetlands Day with us. Two of South Africa’s three crane species, the Grey Crowned and Wattled Crane, are completely dependent on wetlands for their survival – yet both are threatened with extinction. Their threatened status mirrors the loss of wetlands in our country, with an estimated 50% of wetlands completely transformed in South Africa. The African Crane Conservation Programme (ACCP), a partnership between the EWT and the International Crane Foundation, has used these charismatic, long-lived birds as flagships for wetland protection, restoration and management. The ACCP’s South Africa Regional Manager, Tanya Smith, confirms that the efforts of the ACCP team and its partners have ensured the protection of nearly 100,000 ha of grasslands, wetlands and associated rivers in important catchments for people and cranes in South Africa over the past five years. 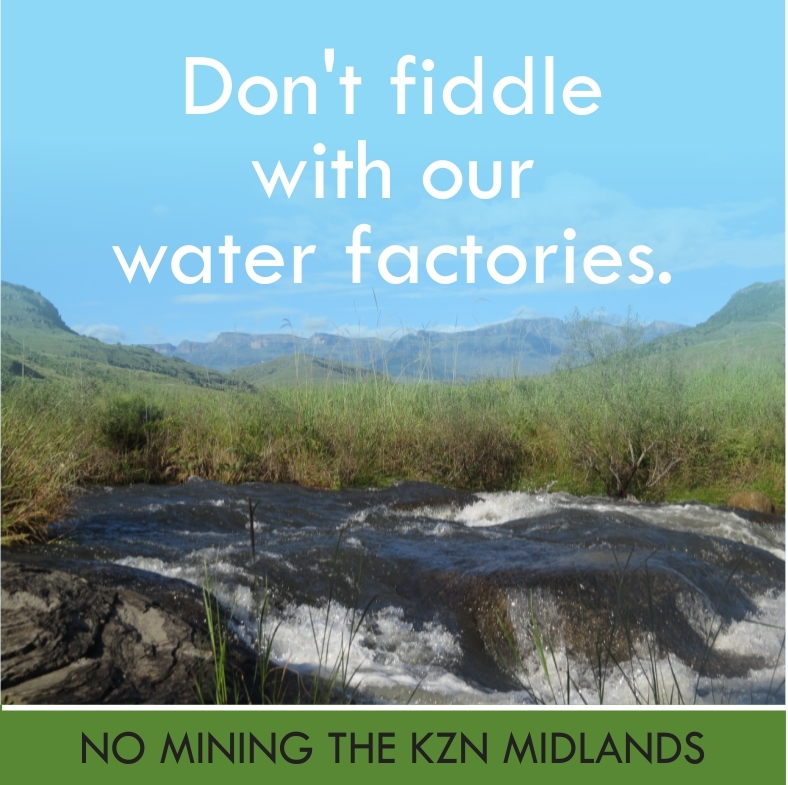 The protection of the key water resources contributes to the long-term security of our water supply for millions of people in South Africa. From large charismatic cranes to the small and slippery, wetlands are home to many. Globally, amphibians are the most threatened class of vertebrate with 32.5% of species currently listed as Critically Endangered, Endangered or Vulnerable. Approximately 800 species of amphibians make exclusive use of wetland habitats. Here in South Africa, a tiny frog the size of your thumbnail is found only in 25 wetlands along the KwaZulu-Natal coastline. Therefore, a key focal species of the EWT’s Threatened Amphibian Programme (TAP), is the Endangered Pickersgill’s Reed Frog. These coastal wetlands are unique in their structure and are themselves classified as Critically Endangered. “The presence of flagship species that depend on wetlands for their survival really helps leverage support for the protection and restoration of wetlands,” says Dr Jeanne Tarrant, TAP Programme Manager. The EWT embarked on an ambitious journey to restore four of these wetlands in the Durban area through alien plant control, re-establishment of indigenous plants and assessing wetland rehabilitation needs and this year will be working towards formal protection of two of these wetlands through community stewardship models. This year’s World Wetland Day theme is “Wetlands for disaster risk reduction” and this theme truly celebrates the services wetlands provide for us free of charge. Wetlands greatly reduce the impacts of flooding by slowing down the flow of water, and reduce the impacts of droughts by slowly releasing water to our streams and rivers. In the current drought gripping much of South Africa, the role and protection of healthy wetlands has never been more important. The EWT is involved with several World Wetlands Day celebratory events around the country. In KwaZulu-Natal, World Wetlands Day will be celebrated at the Greater Edendale Mall wetland in Pietermaritzburg on 2 February from 10am. This is a collaboration of all partners of the KwaZulu-Natal Wetland Forum and will see over 300 children learning about and experiencing the value of wetlands. In the Eastern Cape, the EWT and the Wildlife and Environmental Society of South Africa have partnered to get our future generation’s hands dirty experiencing the wetlands of the Amathole area, where the EWT has been implementing catchment restoration work for the past three years. Lastly, in Gauteng, World Wetlands Day will be celebrated on 17 February at Tembisa Esselen Park Pan. A fun day of activities is planned, so be on the lookout for the EWT stand. Planning a wetland clean up in your community with local schools and parents. Reducing your waste, reusing bottles and containers you would normally throw away, use reusable shopping bags and recycle! Our water resources like rivers and wetlands are heavily impacted on by litter and waste, so these small actions can make a huge difference. Reporting any illegal dumping in wetlands and rivers to your local municipality or police station. Supporting the efforts of organisations like the EWT in protecting wetlands on your behalf. This entry was posted in Water and tagged cranes, endangered wildlife trust, frogs, wattled crane, wetlands, wetlands environmental education, world wetlands on February 2, 2017 by Midlands Conservancies Forum.